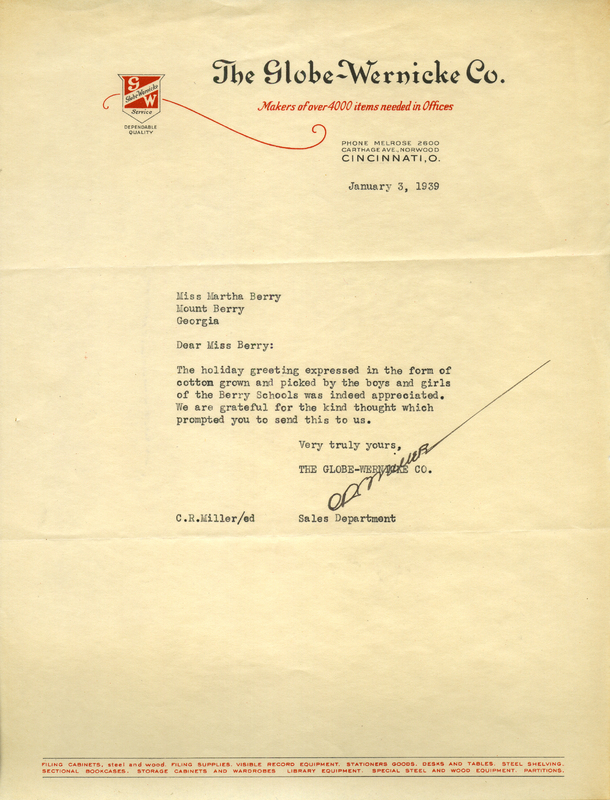 Miller expresses his appreciation for Miss Berry's holiday gift of cotton picked by Berry boys and girls. C. R. Miller, “Letter to Martha Berry from C. R. Miller.” Martha Berry Digital Archive. Eds. Schlitz, Stephanie A., Cassie LaJeunesse, Alan Henderson, Jessica Hornbuckle, et al. Mount Berry: Berry College, 2016. accessed April 18, 2019, https://mbda.berry.edu/items/show/14975.